Move and flow peacefully with this strong, slow moving Hatha Flow. 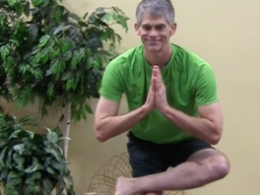 Breathe and flow in this short slow holding class. Move peacefully in this slow flowing Hatha class that focuses on strong holding poses and healing breathing. Slow, strong flow that opens into warrior, lunge and three legged lizard. Embrace your strength from within. Breathe and Flow in this slow strong class that focuses on holding postures and moving within. Connect breath to movement in this slow, strong flow that challenges body and renews mind and spirit. Peaceful, slow moving, strong hatha flow focused on deep breathing through the poses. Move slowly through this challenging class as we layer strength and focus on breath and intention. Challenging hatha flow with long holding poses that build in intensity as we layer strength. Peaceful, strong slow moving hatha flow designed to move your body with your breath. Slow holding poses combined with breath in this peaceful strong class. Strong, slow moving poses combined with balance and focus on breathing. Embrace your strength in this class that includes slow holds in the poses connecting breath and movement. Ignite your inner flame as you communicate with your Power/Manipura chakra to release unwanted karma. 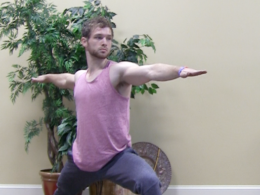 Hold the poses as you focus on your own inner space in this slow moving strong flow. Breathe through the poses in this slow moving strong class. Embrace kindness and compassion for self and the world in this slow moving strong flow. Plant the seeds of gratitude in your heart as you move through this strong, slow moving flow. Slow, strong flow interwoven with seeds of connection. Move peacefully in this strong flow that focuses on holding poses and breathing through the flow. Strong, peaceful flow to open body, mind and spirit. Flow through your practice with the beautiful background and sounds of Minnesota.